Mode is the collaborative data platform that brings everyone and everything together, and gets out of the way. A BI tool shouldn't take months to set up. Analysis shouldn't require constant modelling and remodelling. Unlock your analysts and let them go from setup to answers in hours. 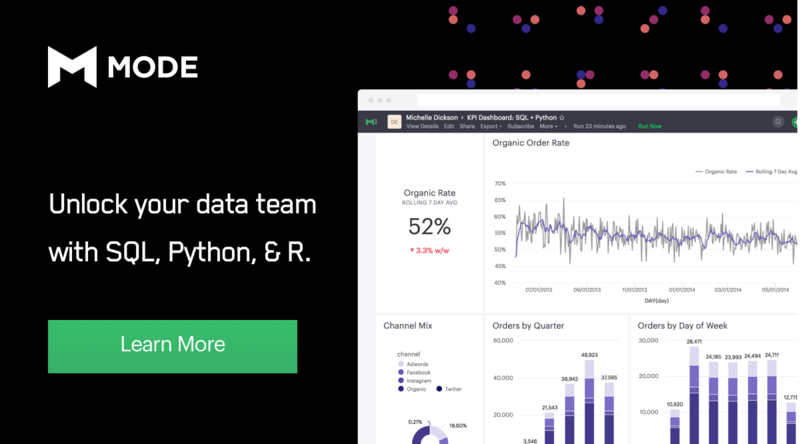 Whether SQL, Python, or R, Mode lets you use the language that best suits the job, without jumping between applications. Share the analysis across your organization instantly.